The news reported an eye-popping $6.5 million settlement between an injured cyclist and the city of Los Angeles recently. The cyclist sustained a severe brain trauma when he fell after riding into a large pothole on a "poorly maintained" street. The brain injury was serious enough to leave the person with permanent disabilities. The settlement was on top of some $15 million in settlements paid out by a Los Angeles to injured cyclists in 2016 alone. As we hear frequently, things are different in California. Anyone injured because of the negligence of a city, the county or a state agency in Florida has the right to bring a claim against them. The first step is to provide a notice to the government agency involved within three years of the date of the injury. The notice of claim gives the agency a "notice period" of six months to "investigate" the claim. Typically they do nothing but wait and see if the lawyer will actually file a lawsuit against them. 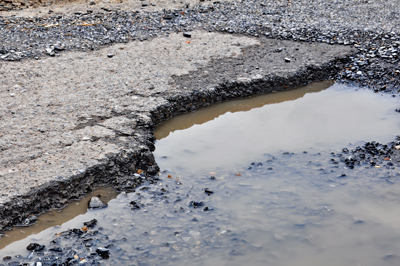 State local authorities in Florida are notorious for not feeling a great deal of pressure to settle claims brought because of their negligence in maintaining roads, sidewalks or bike paths. They realize jurors typically understand these verdicts result in payments from taxes and not from insurance. These agencies hope a jury will be much less generous in imposing damage awards against them than they would be against someone who the juror believes is covered by liability insurance. In addition, Florida limits lawyer fees to no more than 25% of any settlement, verdict or judgment against one of these agencies. The limitation was imposed to make it financially difficult for lawyers to bring these claims. Many lawyers won't take them at all as their exposure for the financial costs of pursuing these cases are no different nor any less-expensive than any other liability claim. Another significant limitation in suing a state or local agency in Florida is the statutory sovereign immunity limitation on recovery. For many years Florida limited someone's recovery rights against a state or local government to no more than $100,000 regardless of the actual value of the person's claim. This limitation has been increased in the last several years and is currently $200,000. This limitation gives the state or local government an additional incentive to resist paying these claims because they know on their worst day their exposure is limited to the sovereign immunity cap regardless of the amount a jury may award at trial. There are two exceptions to these caps. In very rare situations the agency may have purchased liability insurance for payments above the statutory limitation. The only other way is through a private claims bill in the legislature. This is a costly, time-consuming process which is successful in only the most egregious or otherwise unjust circumstances. We have successfully pursued many claims against state and local governments including claims on behalf of injured cyclists. However, we realize they must be looked at very carefully.